What is the fastest animal on the planet? If you are talking about a land animal the answer would be the cheetah. These amazing cats have been known to reach speeds of over 70 mph. However, they can only maintain this speed for an extremely short distance. Cheetahs are members of the cat family. They can live for up to twenty years and can weigh up to 140 pounds. Another interesting fact about the cheetah is that it is the only cat which cannot retract its claws. If you wanted to see a cheetah in its natural habitat, you would have to travel to Africa. The cheetah prefers to live on the open plains and savannahs. 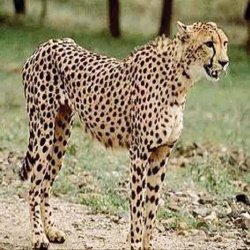 Here the cheetah can hunt down its favourite food, the antelope. Cheetahs prefer to do their hunting during the daylight. Although, they are a large cat, they do have natural predators. These include hyenas, lions and, of course, man. 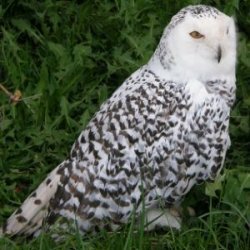 Unfortunately, these wonderful animals are listed as being vulnerable. Sadly much of their range is being destroyed and if they are going to survive, man will have to take special care to protect them. Do not leave food in your campsite. 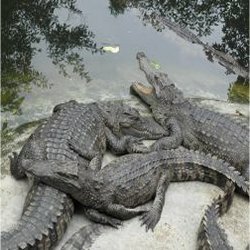 If you are in croc or alligator territory, stay out of the water. If there are no posted signs do not go into the water. You never know if there is a crocodile in the area. Talk to the locals, consult local authorities but do not go swimming without checking first! If there is a warning sign, it is there for a reason. Do not think that just because you don’t see anything, that the crocodiles are not in the area. Crocodiles and alligators don’t like to be seen before they attack. If you are fishing, do not clean your fish anywhere near the edge of the water. Get well away from the shore before you start. Make sure you do not leave any scraps in the area. The Arctic is no place for the weak. In this harsh and often cruel environment only the strongest will survive. 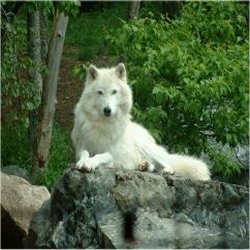 One of the few animals that calls this forbidden land home is the arctic wolf. Often called the white wolf or the tundra wolf this magnificent animal is well suited to living in the north. Arctic wolves can go for weeks without food. Predators in the north cannot afford to be choosey. Prey is often scarce and meals are often infrequent and small. Arctic wolves will hunt almost anything in the north. They will hunt and eat, arctic hare, lemmings, birds, and caribou. Musk ox and seals have also been to known to become a meal for a hungry wolf pack. Wolves will often following the migrating caribou herds. Wolves eat all of the kill including the bones. The alpha male always eats first and then stands guard while the alpha female has her meal. Gator attacks golfer. 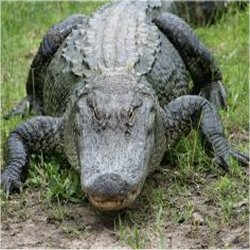 In 2009, a man was attacked by an alligator while playing golf at the Ocean Creek Golf Course on Fripp Island, South Carolina. Friends were able to pull the man away from the gator but he lost his arm in the struggle. The alligator was caught by a team from the Tracks Wildlife Control who then removed the arm from the animal’s stomach. The arm was shipped to the hospital with the hope that doctors would be able to reattach it. The North is home to some of the most unique and fascinating animals in the world. One these creatures is the walrus. 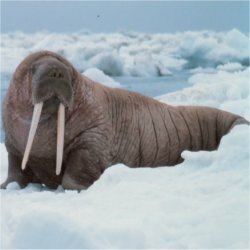 The walrus is subject to many legends and myths among the native communities of the north and has played an important role in their culture and daily lives. A group of walruses is called a herd. The largest walrus herd lives in Foxe Basin, Canada. The herd is made up of more than 5 000 individuals. Animals move from one herd to another. If startled walrus herds will stampede. Walrus babies are called calves. Calves weigh between 45 and 75 kg at birth and are able to swim. Most calves are born between April and June. Calves will stay with their mothers for up to five years. The average weight for a male walrus is 1 400 kg. The average weight for a female walrus is 900 kg. They grow to be between 8 and 12 feet in length. An unthinking, savage killing machine, a predator who has roamed the seas unchanged and unchallenged for hundreds of years, that is how Hollywood would have us think of the shark. Films have portrayed this creature as something to be feared and hunted. Certainly, as the top of the food chain, a shark is deserving of respect but it is also deserving of understanding. The more we learn about these fish, the better we will be able to move and function in their world. 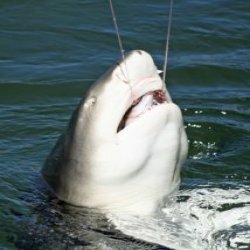 You are more likely to be hit by lightening than get bitten by a shark. Other experts have argued that the tiger shark is the most dangerous kind of shark on the planet. 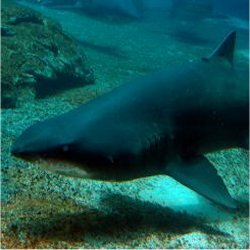 They are responsible for more unprovoked attacks than any other type of shark. Sharks are found in all the oceans of the world. 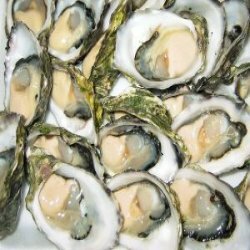 They have been found at depths of over 9 000 feet.